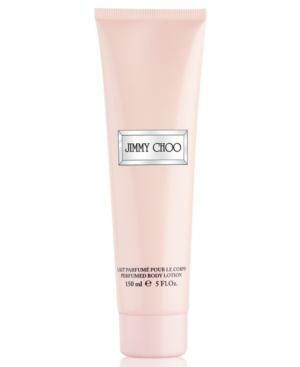 Jimmy ChooJimmy Choo Perfumed Body Lotion, 5 Oz. The luxurious Jimmy Choo Perfumed Body Lotion envelops the skin in a veil of feminine sensuality, leaving it fragranced with the glamorous scent of fruity chypre with warm, rich, woody depths. Notes: sweet orange, pear nectar, tiger orchid, Indonesian patchouli, caramel. Jimmy Choo Perfumed Body Lotion/5 Oz. Jimmy Choo Illicit Perfumed Body Lotion-5 Oz. Jimmy Choo Illicit Body Lotion, 5 Oz. Jimmy Choo L'eau Body Lotion, 5 Oz. Jimmy Choo L'eau Body Lotion, 5.0 Oz. Gucci Bloom Perfumed Body Lotion, 6.7 Oz. Marc Jacobs Decadence Body Lotion/5 Oz. Gucci Bloom Perfumed Body Lotion/6.7 Oz.